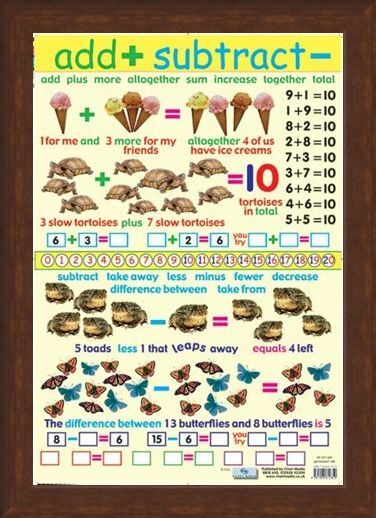 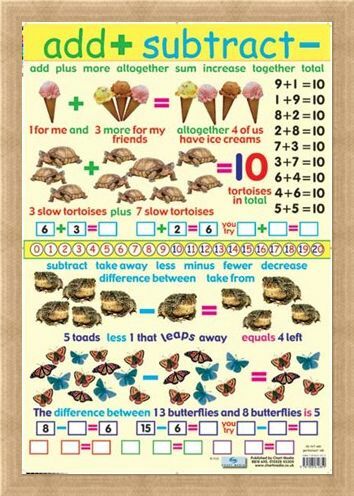 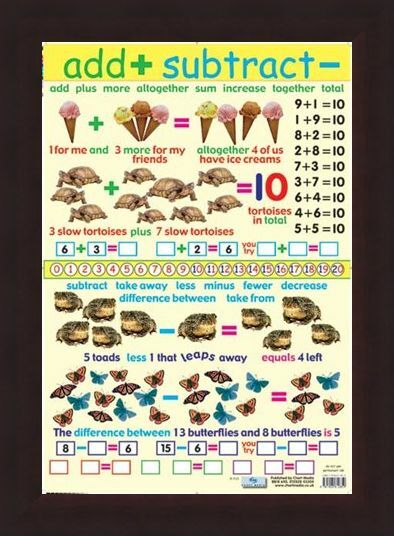 Add and Subtract Mini Poster: This glossy colourful poster is great at school or the home with its bold and easy to follow guide to addition and subtraction. 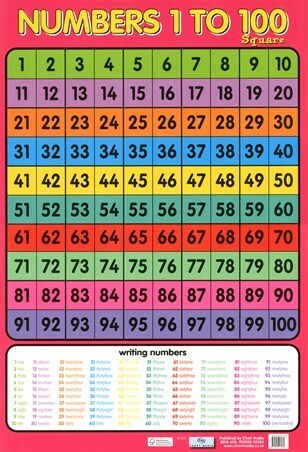 Maths is one of the core skills taught from a young age and this poster will give your child the head start they need. 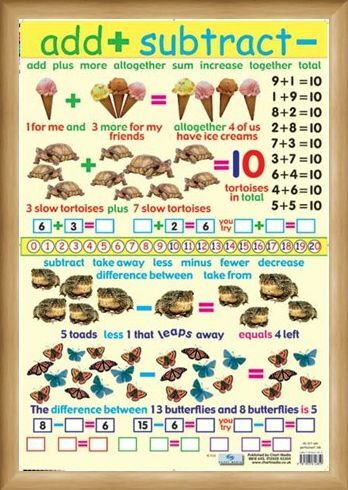 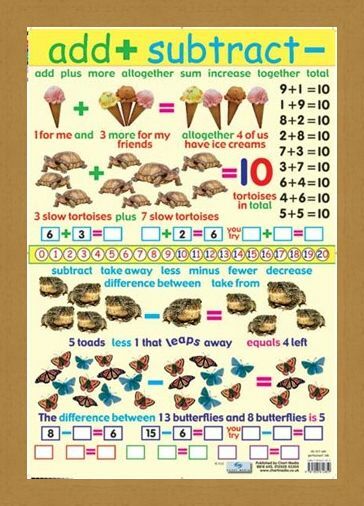 This poster gives lots of examples of adding, such as one ice cream + three ice creams = four ice creams. 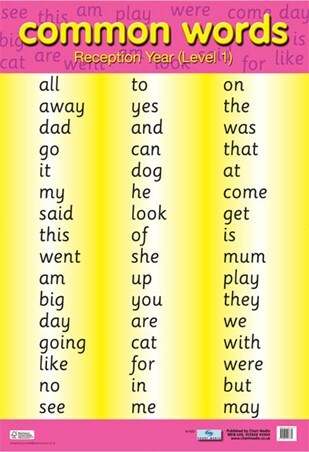 There is a list of words which can be used instead of add such as plus, more, altogether, sum and many more. 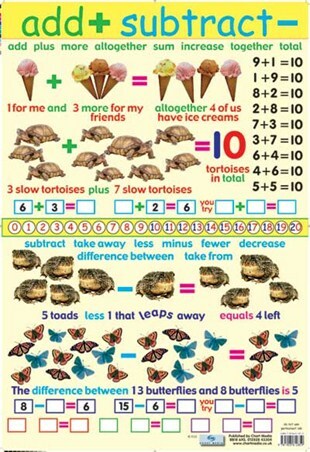 The same applies for subtraction, taking one frog away from five to leave four. 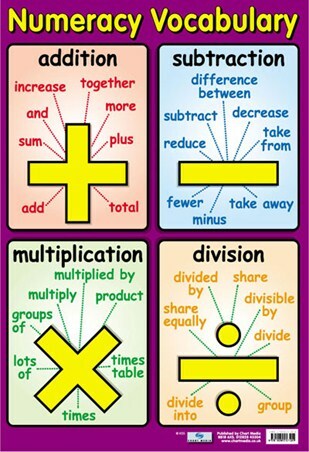 There is another list of words that can be used instead of subtract such as take away, minus, fewer and many more. 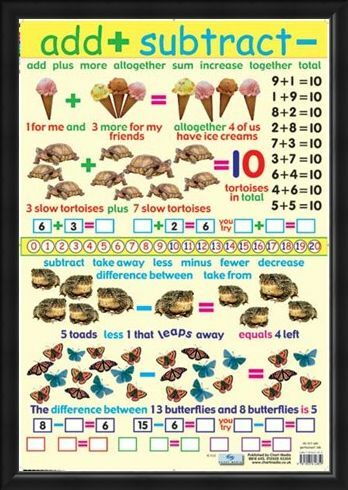 Both sections have a space for your child to try out some of the exercises on the poster and it is wipe clean so they can practice again and again. 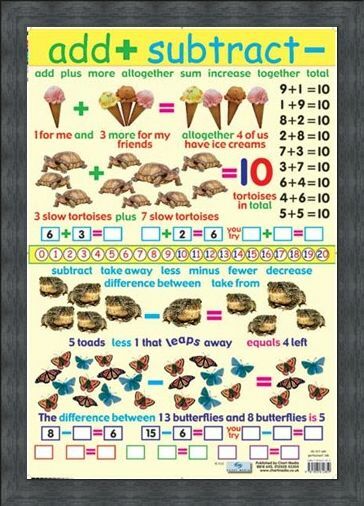 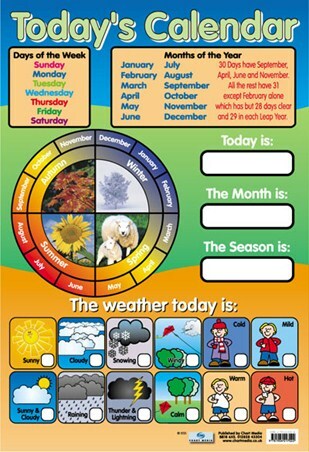 You and your child can learn together with this fun glossy poster. High quality, framed Add and Subtract, Educational Children's Chart mini poster with a bespoke frame by our custom framing service.